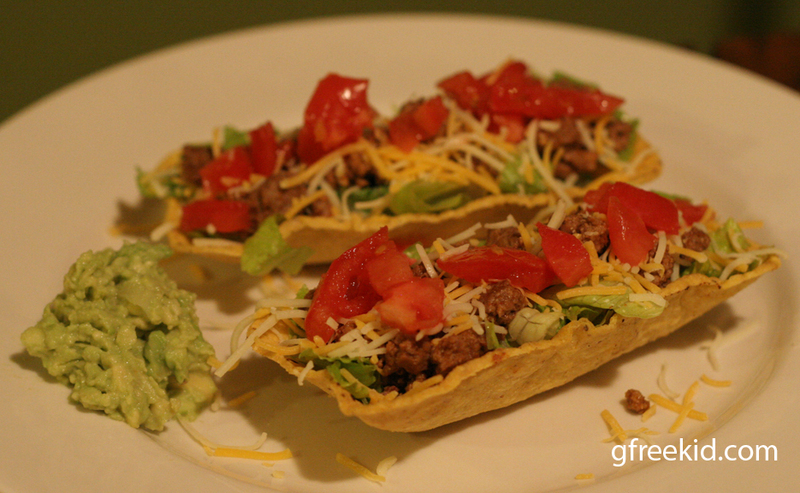 Just heat the Fiesta Flats up in the oven for a few minutes, then fill with your favorite taco ingredients. 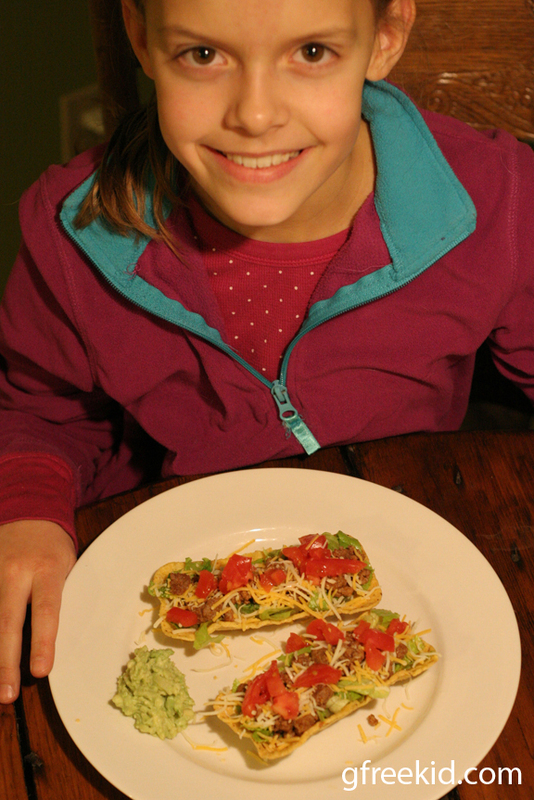 To season our taco meat, we use Simply Organic Southwest Taco seasoning, then we just added shredded lettuce, mexican cheese, green onions and tomatoes. 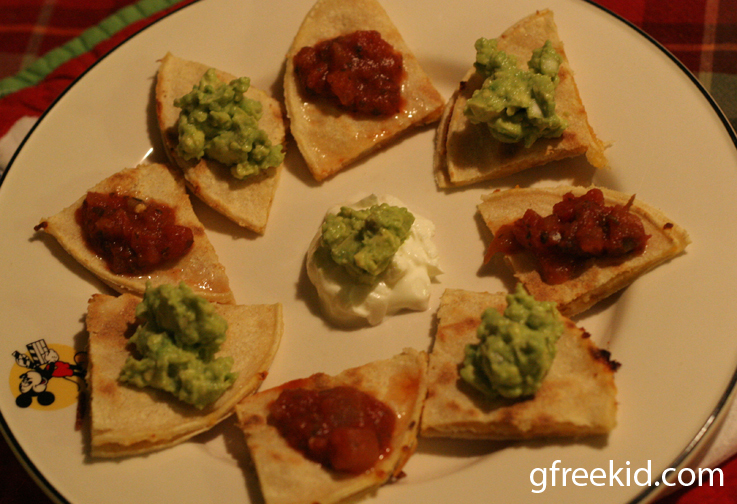 A regular go-to meal of ours is quesadillas. We usually add grilled chicken to ours and sometimes just serve them plain alongside mac & cheese and veggies. 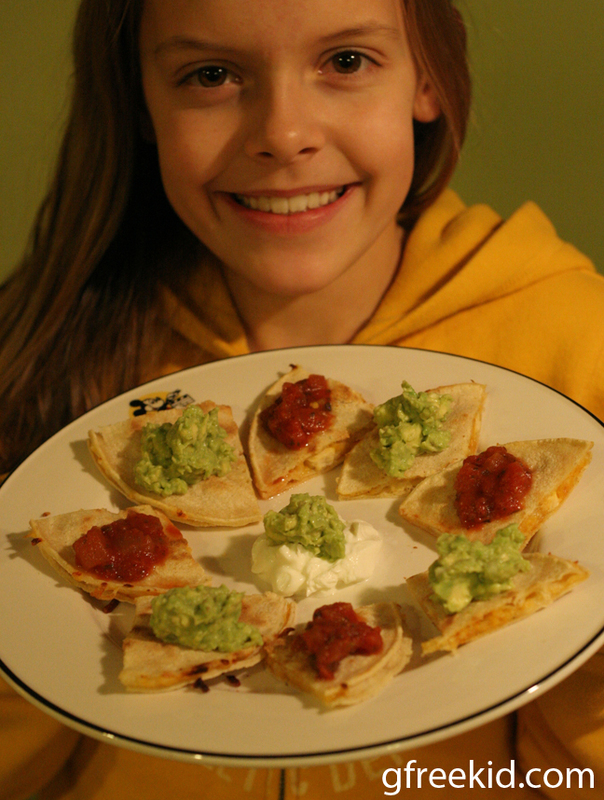 But, the simplest way to make quesadillas seem “restaurant-style” is by just arranging them in a design and adding condiments like homemade guacamole and (our favorite) Green Mountain Gringo mild salsa! We use Chi-Chi’s, Mission or Wegmans brand soft corn tortillas. 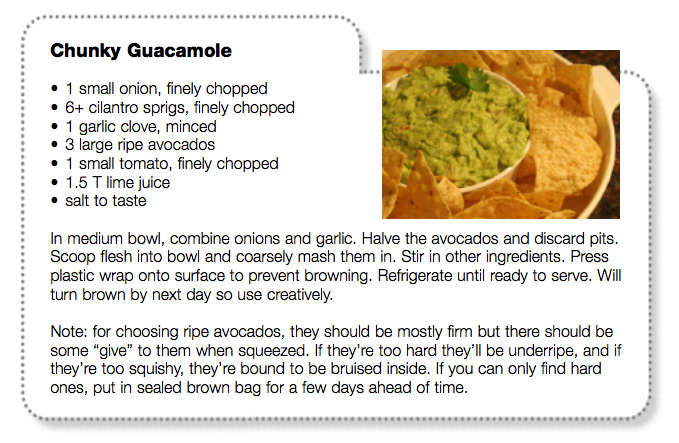 Here is my recipe for guacamole, which can also be found here with our other favorite recipes. Disclaimer: Nothing to disclose. I bought these products myself, none of these companies even knows I’m writing about their products, and honest opinions are from my family & me. This entry was posted in gluten free dining, kids in the kitchen, recipes, Uncategorized by kachalmers2. Bookmark the permalink. YUM what time is dinner? I’m with Jill (I wish)! Looks awesome. Don’t blame you at all for cooking at home instead of eating out, especially when it’s relatively simple but delicious meals like these.